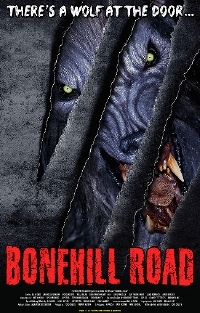 Indie horror director Todd Sheets has joined producer Mem Ferda to pay homage to horror classics like An American Werewolf in London, in a new werewolf flick done the old-school way, Bonehill Road. Bonehill Road tells the story of a mother, Emily (Eli DeGeer), and daughter Eden (Ana Plumberg) on the run from a seriously abusive relationship. In their plight they crash into, not one, but a whole pack of werewolves on an isolated road, deep in the woods. With their car disabled, they desperately seek refuge in a nearby house, only to discover they’ve endangered themselves even more. Director Todd Sheets (Dreaming Purple Neon) comments, "My goal is to make the classic monster movie of our time!" Producer Mem Ferda (JailBird, London Heist) added, "We have a very distinctive werewolf movie, with powerhouse performance’s, coupled with strong effects work. Our choice of a grainy look and feel, making the experience all the more classic and harrowing. I’m very proud of it." The cast includes Eli DeGeer, Ana Rojas-Plumberg, Gary Kent, Dilynn F. Harvey, Millie Milan, David E. McMahon and Linnea Quigley.